Despite consuming the recommended amount of water every day, many are still affected by dehydration, says IV Therapy medical director Dr. Vinita Schroeder. 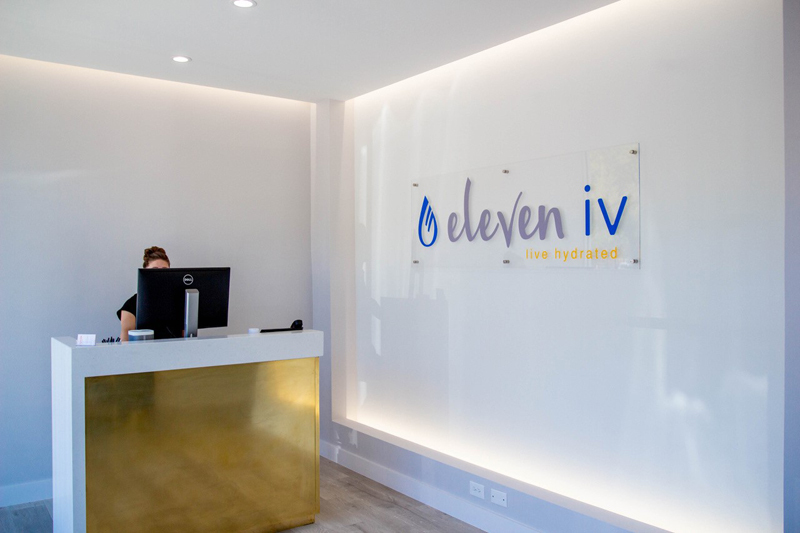 A new business in University Park is looking to combat that with IV fluids and vitamins. “IV hydration was once known as a quick hangover treatment, but now we have a range of indications, from migraines, skin health, and athletic recovery to anti-aging and weight loss,” Schroeder said. 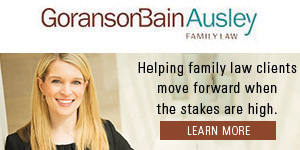 The new business opened April 1 directly across from SMU at 6417 Hillcrest Ave. The newly-completed space features five different spaces: two rooms for groups, including an “IV lounge”, one double room for a more intimate experience, and two single executive therapy rooms for those looking for a private setting. The company says they use the highest quality pharmaceutical-grade IV vitamin ingredients available, prepared and delivered by its team of experienced registered nurses. 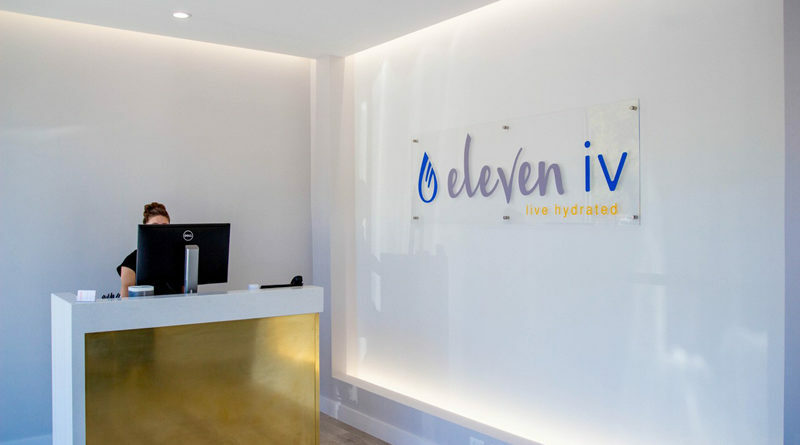 “We pride ourselves in the experience and credentials of our staff, quality of care and materials used and the unique service our clients will experience here at Eleven IV,” Schroeder said. 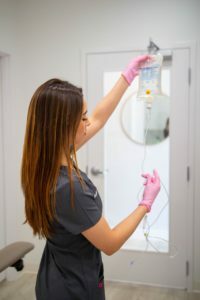 In addition to the range of IV therapies offered, several “shots” are available, including “Skinny” to aid metabolism, “Energizing” for a quick pick me up, and “Calming” to ease anxiety, along with oxygen therapy. These treatments can be added onto an IV treatment or simply done on their own for a quick boost.